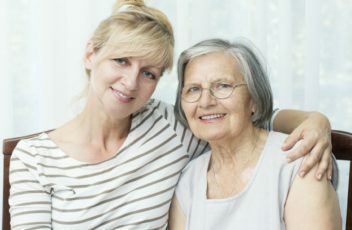 If your elderly loved one has been recently diagnosed by the doctor with Alzheimer’s disease, you may be wondering all about your options as you step into the role of the family caregiver. Many seniors with Alzheimer’s disease want to live at home and have family members care for them, while others don’t have a family caregiver option and must move to a facility. 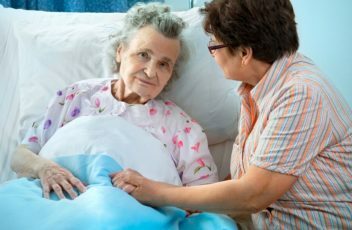 As you evaluate what you are going to do, you need to take a serious look at what it takes to care for an aging relative with Alzheimer’s disease. The earliest stages of Alzheimer’s disease won’t affect an elderly adult’s independence, and even the mild stage may just result in a few minor incidents here and there. Family caregivers can keep a close eye on their elderly relative’s activities and look for clues throughout the months and years of increasing challenges to living independently. Over the course of a few years, family caregivers soon take over many daily tasks such as finances, medication management, housekeeping, meal planning and preparation, and household safety. Eventually, the disease progresses to the severe stage where the elderly adult cannot be left alone safely. To be a competent and compassionate family caregiver to a senior with Alzheimer’s disease requires plenty of physical and mental stamina. It can cause a lot of frustration and exhaustion, which can lead family caregivers to unhealthy levels of stress. 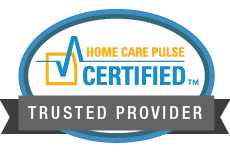 While family caregivers may think they can handle all the caregiving duties at first, the steady progression of the disease and the increased demands required often catch family caregivers unaware. Family caregivers are soon unable to provide the same high level of care they used to, as the demands are more frequent. Other family members may be able to help, but often they are unable to give a firm commitment all the time. One of the best solutions to this problem is for family caregivers to consider hiring elderly care providers. It’s a smooth and seamless way to bring someone in with experience and dedication who can be dependable and competent. The hardest thing for family caregivers to do is to feel comfortable in leaving their elderly loved one with someone else while they focus on their own needs. The worry about whether their elderly relative will be all right can actually discourage them from doing much at all. With an elderly care provider, family caregivers can feel good about a competent professional looking out for their aging loved one with Alzheimer’s disease. You are going to have a lot of things to focus on in the coming months and years, and you will most likely be able to handle anything that comes your way as long as you have a great support group that includes elderly care providers.